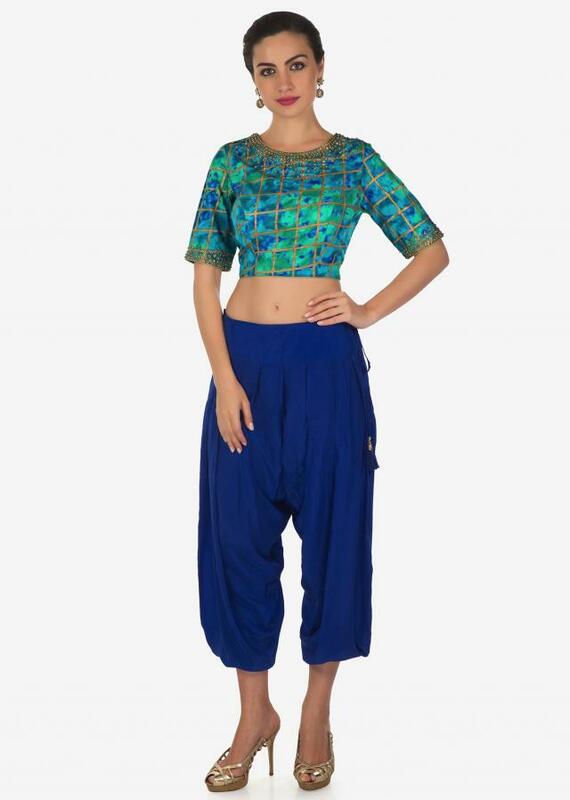 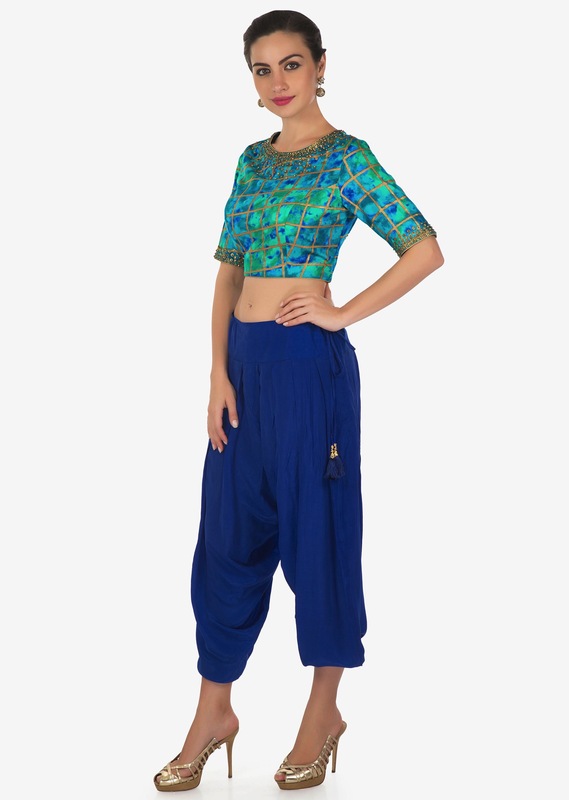 Royal blue dhoti pants featuring in crepe. 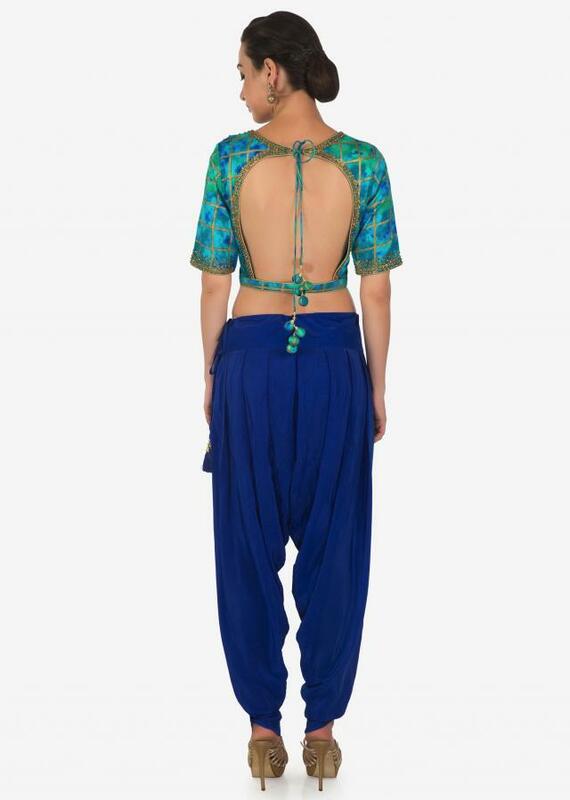 Matched with shaded blouse in silk. 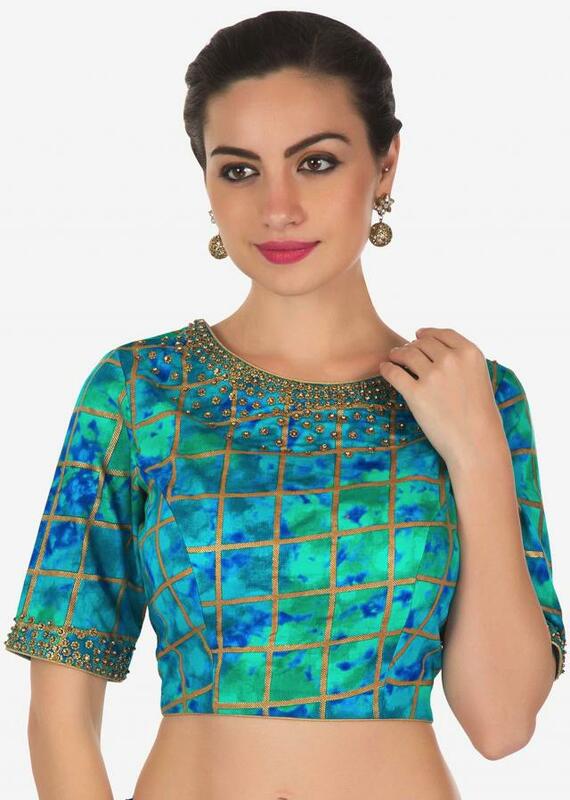 Neckline and sleeve are embellished in kundan embroidery.